Russia expects eight vessels of the Borei project to enter service by 2020. Each of Borei-class submarines can carry 16 Bulava-30 intercontinental ballistic missiles. The missile-carrying nuclear submarines "Vladimir Monomakh" and "Alexander Nevskiy" are expected to join the combat forces of the Russian navy in 2015, Defense Minister Army General Sergei Shoigu said Monday. "In 2015, two strategic missile-carrying nuclear submarines, the 'Vladimir Monomakh' and 'Alexander Nevskiy,' will join the combat forces of the Russian navy. Two multirole submarines and five surface warships will join the effective forces," Shoigu said during a conference call at the Defense Ministry. The minister pointed out that the nuclear submarine "Yury Dolgoruky" had already become fully operational in the combat naval forces. In addition, the nuclear submarine "Severodvinsk" with cruise missiles, the large submarine "Novorossiysk", five surface ships and ten combat boats of different classes had joined the Russian navy. Plus, the construction of submarines "Knyaz Vladimir" and "Knyaz Oleg" had begun. Three Borei-class nuclear submarines "Yury Dolgoruky" (the Northern Fleet), "Alexander Nevskiy" and "Vladimir Monomakh" (both in the Pacific Fleet) were commissioned in the Russian navy. Two more submarines — "Knyaz Vladimir" and "Knyaz Oleg" – are currently being built at the Sevmash shipyard. Altogether, Russia expects eight vessels of the Borei project to enter service by 2020. The vessels have a length of 170 meters, beam of 13.5 meters and a displacement when submerged of 24,000 tons. 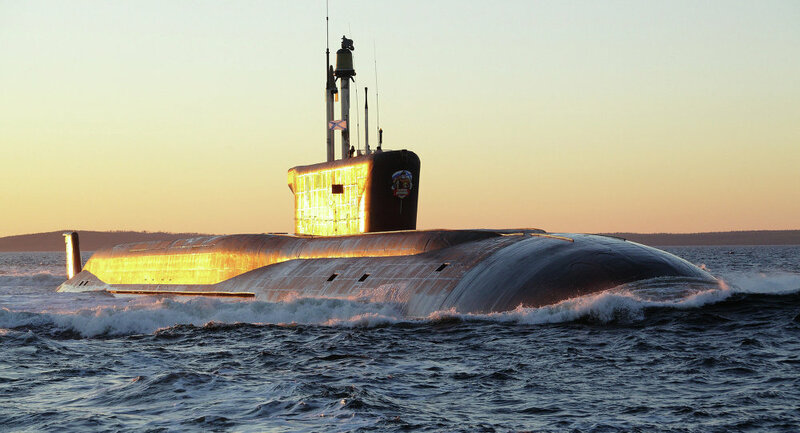 Each of Borei-class submarines can carry 16 Bulava-30 intercontinental ballistic missiles.